Is a drinking horn not so much for you? Would you rather have your hands free so you can defend yourself and smite the heathens trying to pillage your mead? Well put down your horn and grab your blade! 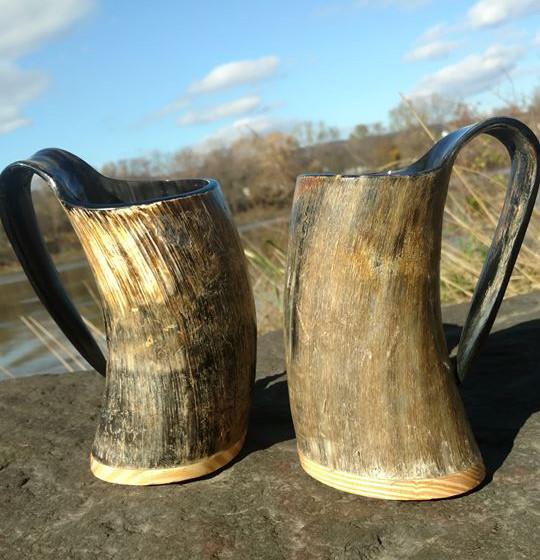 Have a look at our different styles of horn mugs, cups, and shot cups. All of our cups are sealed and 100% GUARANTEED not to leak. We ensure that our cups will hold your liquid until you finish it off (or at least until you spill it). 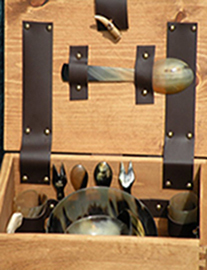 All of our mugs, cups, and shot cups are handmade from steer and water buffalo horn. They can hold cold and warm liquids. The Perfect addition to any adventuring Viking! 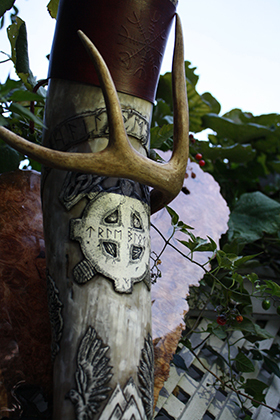 These horn mugs are set and sealed beautifully on wood and hold 16-20 fl Oz.